The combined advantages of robust soles, cozy enhancements, and important aesthetics are some of the defining strengths of the GEL-Nimbus 16. 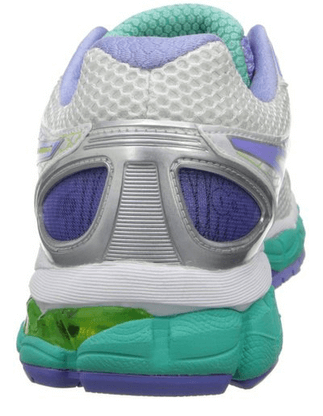 The soft-textured inner soles of these sports shoes offer both comfort and protection for those accustomed to long walks, hiking, or long-distance running. The details of comfort are meant to lower the fatigue of the joints and muscles while improving their general performance. As such, these are ideal for under-pronators, mild overpronators, and neutral gait runners. Besides, these shoes have an impressive traction that protects the wearers from slipping on surfaces. The exterior is uniquely hardened to prevent wearing and tearing that may result from abrasions and intensity of usage. Compared with many other sports shoes within the same price range, Gel-Nimbus 16 is truly outstanding regarding its cushioning effect on the feet. 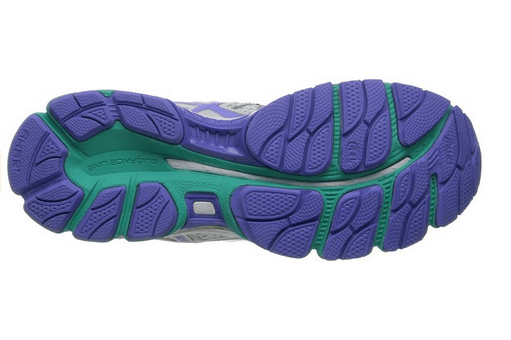 The GEL cushioning system designed with sufficient shock absorption qualities that reduce the impact of every step. The advantage of this shoe is meant to benefit every runner, but it is particularly ideal for people with plantar fasciitis. The outstanding excellence in cushioning makes it possible for enthusiasts of athletics to train for long hours without incurring pain. The designers of GEL-Nimbus 16 undertook various improvements to ensure that the shoes fit comfortably and perfect for most types of feet. reinforcements and the multi-directional stretch mesh ensure that the shoes fit well and firmly without compromising on your comfort. In fact, these are the shoes you need if your fitness schedules require some level of vigor. The GEL-Nimbus 16 has an amazing bounce back capacity because of their lightweight FluidRide midsole. The great bounce back advantage gives you greater freedom and flexibility on rugged terrains and other challenging surfaces. improvements and extends to the aesthetic delights that reflect the shape and colors of this sportswear. The comfort of the inner sole and the midsole have a relaxing feel that goes beyond the primary sporting value of the shoes. Various aspects of the shoes are remarkably prestigious, which imparts a strong attraction to users with a keen sense of fashion and class. The harshness of the sporting terrain requires strong shoes that can withstand the resultant strain. The GEL-Nimbus starts above many others because of its tough sole and sturdy exterior that adapts it to the challenges of the field. The past users find sprinting and outdoor activities that require a strong promise of firm performance. The shoes are remarkably sturdy and durable. These shoes have a lasting traction for the owner’s safety. The shoes have a superior cushioning effect. They are lightweight for increased flexibility. These sports shoes have an outstanding aesthetic appeal. The shoes have less room for the toes. The shoes lack a vast color variety. Q. What kind of sole should I expect? A. These sports shoes feature a strong and durable rubber sole. The sole does not break while twisting and enhances the level of comfort on the heels. Besides, it provides excellent traction. Q. 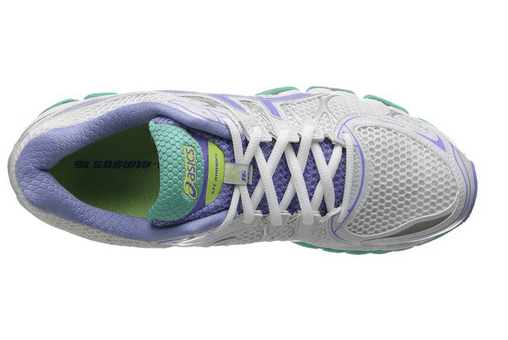 What is the weight of the Asics Women’s Gel-Nimbus 16? A. Weight only 2.5 pounds. They are lightweight and highly suited for high-speed training and vigorous outdoor activities. Q. What are some of the activities that these shoes are suited for? A. These are ideal for running, jogging, walking, treadmill exercises, and many other activities that require some strain. 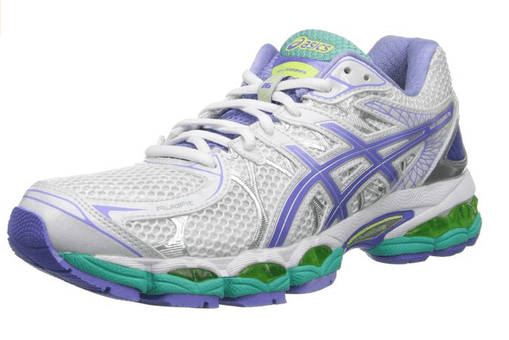 The Asics Women’s Gel-Nimbus 16 are stable, comfortable, and luxurious that fit well on most types of feet. These items are worth every penny that goes towards their purchase.